Imagine yourself standing over Himalayan ranges and you are overlooking the lush green valleys, the clouds crossing through you, and stretched open arms you can inhale the fresh cool air of the Himalayas. This dream holiday destination is in India and it is waiting for you to plan for Shimla and enjoy the best holiday in this princely destination Shimla. It is one of the most loved destination to spend some resting time stealing from nature and far away from crowded city life. Shimla has been the most chosen holiday destination since the ruling time period of British East India Company, because of its stealing beauty and pleasant weather. 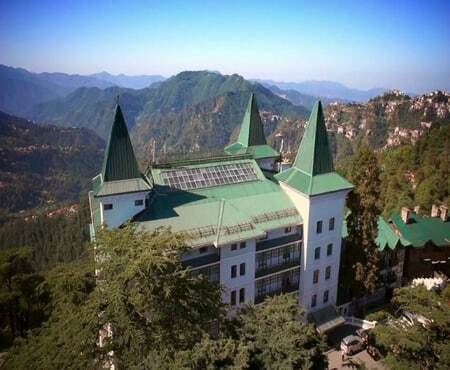 Gift yourself just two days to rest in the luxury of Oberoi Cecil and explore Shimla for its beauty and silent valleys. Upon your arrival, you will be greeted by our representative and you will be assisted to your pre-booked Oberoi Cecil luxury hotel. Check-in and get a relaxing stay in luxury suites, enjoying your own time and evening time reserved for local Shimla attractions. Oberoi Cecil is going to serve you the delicious option breakfast and post breakfast, you will be engaged for local sightseeing and remaining time will be relaxing time in the luxury of hotel. Later, check-out from the hotel and our representative will assist you till airport.